We will celebrate our annual Winter Wish Gala on Tuesday, December 4 at Gotham Hall in New York City. Serving as the evening’s Mistress of Ceremonies will be Soledad O’Brien, philanthropist, award-winning journalist, anchor, producer and CEO of Starfish Media Group. 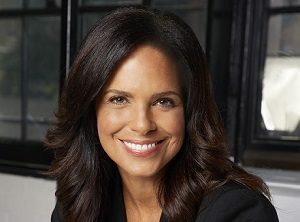 O’Brien is also the host of “Matter of Fact with Soledad O’Brien,” Hearst Television’s acclaimed weekly syndicated show. The Partnership recently collaborated with Hearst Television on a year-long, multi-platform news and investigative series, “Matter of Fact: State of Addiction,” which included a special hosted by O’Brien and examined the heroin and opioid epidemic across the country. The series provided reports and analysis on many facets of the nation’s opioid problem, including how it began, government action, treatment and how it has impacted communities and families across the U.S.
“The numbers around the heroin epidemic are overwhelming. There is no doubt that it’s a national emergency and, quite frankly, a challenging story to cover. Each day brings more disturbing instances of overdoses and family tragedies, and – although it is hard to watch – these stories need to be told,” said O’Brien. At this year’s Winter Wish Gala, we will honor Google, Hearst and Jazz Pharmaceuticals with Corporate Citizenship Awards for their work in support of parents and families who have been impacted by a child’s substance use. Rep. Patrick J. Kennedy, Former Representative of Rhode Island’s First Congressional District for 16 years, and author and chief sponsor of the Mental Health Parity and Addiction Equity Act, will be recognized with this year’s James E. Burke Award. We hope you will join us and support this critical event. For tickets or more information, please contact elle_barks@drugfree.org.